The land of 10,000 lakes is also the land of towering forests, rolling prairies and incredible vacationing opportunities. This is your chance to experience the scenery first hand, playing a game that's equally challenging physically and mentally. Vacation at one of the Top 10 Minnesota Golf Resorts to experience luxury accommodations, great family activities, and, of course, spectacular golf across the state! At The Lodge at Giants Ridge they take pride in offering a wonderful golfing experience in a natural and professional setting. Choose from two different courses to mix things up! It's a great place to practice your game, but to also slow down and appreciate the nature beauty all around. It's a part of their philosophy at the lodge, to appreciate a calmer, and maybe saner way of life. With white sand bunkers, towering pines, sparkling blue lakes, giant boulders and bent grass fairways, you'll discover all over the joy of golfing the way the pros do. Built in 1999, the lodge offers 67 suites, most of which have fireplaces and whirlpool spas. Perfect for any occasion, but especially soothing after a day on the links. If you come in a cooler season, basically anything other than summer, you'll find the fireplaces a cozy addition in the evenings! An indoor swimming pool is another great way to spend time at The Lodge at Giants Ridge! The beautiful northwoods are on full display when you play at The Lodge at Giants Ridge. Towering pines and crystal clear waters surround you on every side! With two different award winning courses, you'll have a great time on the links at The Lodge at Giants Ridge, and you'll be able to soak in the beauty of the wonderful North Woods atmosphere! Located not far from Ely, getting to The Lodge at Giants Ridge is simple. And it's only a couple hours from the cities too! Big Sandy Lodge & Resort is practically next door to Minnesota National, one of the premier courses in the land of 10000 lakes! With a total of 27 wonderful holes, you could spend an entire weekend just playing the course once! Minnesota National was designed by renowned architect Joel Goldstrand on 600 gorgeous acres of rustic wilderness, Amidst the courses dense covering of towering pines, hardwoods and Minnesota wildlife habitat, you'll find one of the most memorable golf experiences you've ever had. That could mean taking on the challenging 18-hole Championship Course and its 7,200 yards, or perhaps taking it a little easier on the popular Savanna 9-hole Course, perfect for both families and those new to the game. You'll be glad to know that Big Sandy's opulent rooms are just waiting for your return! Maddens opened the first 18-hole resort golf course in the state of Minnesota in 1926. Since then, they’ve played host to Gull Lake vacationers and golf lovers as a family travel tradition. Come see what makes Maddens “Minnesota’s Classic Resort” on your Minnesota golf getaway! Over 100 acres of resort property span the entire Pine Beach Peninsula on Brainerd’s scenic Gull Lake. This includes 63 holes of incredible golf on a literal paradise of fairways! The Classic at Maddens has the layout, beauty and challenge of a championship level course, with the casual atmosphere of a public course. Bring the beginners in the family to play the Social 9. This short par 28 course is a great warm-up, cool down or just a fun and active way to spend some time! Maddens is more than just a Minnesota golf resort. It’s a great place to enjoy the great outdoors! Tennis, croquet, biking and watersports on Gull Lake mean that every moment of your day will be filled with a fun family activity. And your nights will be filled with gourmet dining, luxurious accommodations and incredible golf course and lake views. Welcome to Maddens, your new golf resort tradition. Madden's Tennis & Croquet Club is home to six tennis courts, bentgrass croquet and lawnbowling lawns, shuffleboard, horseshoes, volleyball, badminton, basketball and mountain bikes. Recreation staff can assist you in planning group recreation and team building activities, mini-Olympics, tournaments, group lessons and clinics. In the 1930s and during the Great Depression, caddies were paid 25 cents a round and many workers earned as little as $20 a month. A variety of unique vacation packages are available. Whether you’re craving a golf retreat, a romantic spa getaway or even a fun and interactive Murder Mystery weekend, you’ll find it at Maddens! This is Northern Minnesota golf at its finest. Arrowwood Resort and Conference Center boasts luxury accommodations, family activities and a golf club that will challenge you to test your swinging, chipping and putting abilities for days. Welcome to the premier Alexandria, Minnesota golf resort! The Atikwa Golf Club features a newly renovated championship golf course – perfect for beginners, pros and anywhere in between. It was designed to preserve the natural surrounding wetlands, so scenic lake views and unique water hazards are built in to the game! And a new addition to the spectacular golf facilities is the Executive Putting Course – 18 holes of immaculate bent-grass greens give miniature golf a whole new meaning. Meandering streams, waterfalls and fountains set the stage for a totally unique family golf experience, while white-sand bunkers add a special challenge to this competitive putting course! And there’s lots to do off the links. Splash, scream and slide at the 38,000-square-foot indoor waterpark, visit the onsite stable to explore the Northwoods on horseback, enjoy a relaxing day at the spa or rent a boat and discover Lake Darling! Your Minnesota golf resort destination at is Arrowwood Resort! From Minneapolis/St. Paul Area, take I-494 West to I-94 West. Follow I-94 to the Alexandria exit #103. Take a right onto Hwy 29 North. Follow 29 North through downtown Alexandria. Turn left onto County Road 82. Follow for .7 of a mile. Turn right at the stoplights onto county road 22 (between Magellan gas tanks). Stay on 22 for 2.3 miles. Turn right onto County Road 104. Arrowwood Lane is .4 of a mile. Hungry? Check out the incredible dining at Arrowwood! Three full-service restaurants and a snack bar will satisfy all your cravings. Built in 1921 and designed by the famous Joel Goldstrand, hitting the links at Ruttger's Bay Lake Lodge is not only a great golfling experience, but it's also a trip through history! And with plenty of other onsite amenities like like Kids Kamp and tennis courts, every one in the family is sure to have a great time! Spread out over a hundred acres, these 18 holes use water as their foremost feature, creating unique and interesting dynamics and challenges on each hole! It's a unique and challenging way to play, but for those who can uncover the nuances of the course, it's a great experience! Make sure you have plenty of extra balls on hand for mulligans though! If you need a break from golf, there are plenty of other ways to spend your time at Ruttger's Bay Lake Lodge. Rent a fishing boat and cast a line, or visit some of the stores onsite full of apparel to help you cherish your time at Ruttgers! In the area, after a round of 18, there are opportunities to take a dip in the lake, or explore the area with a bike ride! Just a couple hours of the highway from the Twin Cities, Ruttger's Bay Lake Lodge is easily accessible no matter where you're coming from! Imagine staring out from an elevated tee at 500 yards of meticulously groomed bent grass fairways, perfectly set amid mixed forests and undisturbed natural lakes. You’re not dreaming – this is golfer’s heaven at Grand View Lodge – a Minnesota golf resort that doubles as a golf Mecca! If enjoying the links is the sole object of your vacation, stay in a clubhouse suite or a Roy Lodge golf villa at the Pines or a townhome on the 8th fairway of the Lakes nine. It’s a chance to enjoy the incredible scenery of the course from the comfort of the indoors. And the amenities aren’t too shabby either! Indoor whirlpools, balconies, gardens, fireplaces and more help you make the most of your golf getaway. And when you’re sick of being indoors, there’s definitely enough to keep you busy outside! There are a total of 72 gorgeous holes of golf at this Brainerd Lakes resort. The 18 holes at Deacon’s Lodge and 27 holes at the Pines are both award-winning championship courses you definitely won’t want to miss. And a variety of tees means that everyone in the family, no matter your experience level, can join in! Welcome to the ultimate Minnesota golf resort! Grand View’s Kids’ Club is a super-fun way for your child to enjoy his or her Grand View Lodge vacation experience. For days filled with games, art activities, adventures, and lots of fun, just sign up in the lobby! Grand View Lodge has an eighty-year tradition for hospitality. The Lodge is designated as a national historic landmark, preserving a legacy that dates back to the days of World War I. Grand View Lodge golf courses offer a wide variety of instruction options including private lessons, lesson series, semi-private, short game classes, junior program and GVL guest clinics. So whether you are a beginner or have been playing for years, their instruction program can improve your game! A trip to Minnesota isn't necessarily all about the lakes. When you stay at Appeldoorn's Sunset Bay Resort, you'll have easy access to an unforgettable Central Minnesota golf getaway! Appeldoorn's is conveniently located just a short drive from Fiddlestix Golf Course, a Par 71 championship layout spanning 6,250 yards. The course is surrounded by scenic terrain and just three miles off the picturesque shores of Mille Lacs Lake. The lush scenery will put golfers at ease while the 15 lakes scattered throughout the course will challenge your decision making and give you plenty of "Risk vs. Reward" shots. Appeldoorn's also offers golf packages at Northwood Hills Golf Course. The scenic layout provides plenty of challenging shots, requiring you to shape around the hole as you play. Their brand new clubhouse, complete with bar and grill, simply can't be beat. Tee it up from the tips and the play the course at a little over 6,300 yards. During the spring and summer months, make sure to contact the property in advance as they'll typically have some Stay-and-Play promotions going on which allow you to enjoy a round or two at a discount. Golf isn't the only summer activity you'll enjoy on the shores of Lake Mille Lacs. Kayaking, canoeing, paddle boating, or just sunbathing on the beach are great ways to fill your summer days at Appeldoorn's Sunset Bay Resort. Northwood Hills Golf Course recently added footgolf for children who haven't quite developed a passion for the game of golf. This hybrid of soccer and golf is playable right alongside a regular round of golf, and features over-sized holes for the larger soccer balls. For more information and to book your tee time, head to the course website. This is the resort you remember from your childhood. Your day was filled with exploration, each meal was eaten family-style and nights were reserved for card games instead of TV. Fair Hills Resort and Wildflower Golf Course bring that family focus back to your Minnesota golf resort vacation. Being active is the only way to be at this traditional Northwoods Minnesota family resort. Tennis, volleyball, basketball and water activities entertain children and adults of all ages. But what really caught our eye was the golf! Playing the free nine-hole par 31 executive course is a perfect way to introduce beginners to this ancient game. You can even borrow golf clubs from the resort for free! And you’ll also receive a 20 percent discount at the adjacent Wildflower Golf Course. Situated on a beautiful flatland meadow, surrounded by wildflowers and towering Oaks is the Wildflower Golf Course, named in the Top 201 Places to Play by Golf Digest. The distinctive “prairie links” design, along with 18 holes of challenging yet playable golf makes Fair Hills Resort and Wildflower Golf Course your next Minnesota golf resort vacation! With 100 units of different shape, size and variety, Fair Hills is large enough to offer a wide range of accommodation and vacation options. All cabins receive daily maid service. Most rates are per person — so it will not matter what cabin you stay in. For those looking for a One Meal Plan or Housekeeping, they have 11 cabins to choose from. A golf clinic can be scheduled for any size outing or family group. 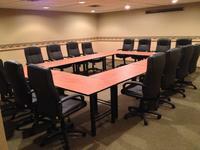 Indoor evening sessions can also be arranged in an informational format. Pricing is reasonable, and is dependent upon group size and duration of clinic or lesson. Scheduling in advance is necessary. At Fortune Bay Resort Casino everyone can be a winner when they step out onto the links. Designed by Jeffrey Brauer, The Wilderness is set along the shores of Lake Vermillion, making for an incredible golfing experience you won't want to miss! With pines and rocky outcroppings, The Wilderness truly earns it's name. It's an adventurous course, and after your done, make sure to stop at The Wilderness Grill to relax a little! Then after a few rounds on the links, come back in and try your luck in the casino. Featuring slots, Black Jack, Mississippi Stud, Texas Hold 'Em, and more, you may just be one of the many winners in the Land of Ten Thousand Winners. There's also plenty of shopping in the area, and rentals at the marina, perfect for fishing or just exploring the nooks and crannies of Lake Vermillion. And if that isn't enough there's even an arcade too! For the young, or the young at heart at least! At Fortune Bay Resort Casino, there's plenty to do. If you're looking to take a break from the golfing, try renting a fishing boat and getting out on the lake, or try one of the 5 onsite dining options. There's lot's to do at Fortune Bay Resort Casino. Try your luck and the tables, enjoy fantastic dining options, or just relax by the lake, the choice is yours! Greet the day with golf, gaming and gambling at a great Minnesota golf getaway. Black Bear Casino Resort is the perfect mix of adult entertainment. Luxurious hotel accommodations, live entertainment, championship golf and your chance to win big are all here at Black Bear Casino! Perfect your golf game at the driving range and putting greens before the real competition begins at Black Bear Golf Course. This championship par 72 course was carved into the beautiful Northern Minnesota woodlands, so towering trees, natural ponds, streams and incredible scenery frame each drive. Walking down rolling fairways is great exercise, but if you’d rather get in a quick game, rent a cart. Your cart’s GPS system gives you yardage to the pin, pro tips on how to play the hole, score keeping, food ordering capabilities and much more – it’s the latest technology in golf! A different type of game is waiting for you at the resort after your day on the links. Blackjack, poker, slot machines and bingo at Black Bear Casino are the perfect way to bring out your competitive side, (and hopefully, win some money!). Unending adult entertainment abounds at Black Bear Casino, an incredible Minnesota golf resort destination! You won’t have to look far for your next meal! Visit the Seven Fires Steakhouse – featuring incredible steak, seafood and more for your fine dining pleasure. There’s also a full-service buffet on site. The Cobalt Nightclub and Cabaret features the hottest bands in the area along with the funniest comedians on our Comedy Nights. Stop in, and enjoy the stylish surroundings! Kids and adults alike will love relaxing in the 10,000-square-foot indoor pool complex! A huge swimming pool, two hot tubs and a sauna allow you to swim, splash and soak your worries away. Work your way around 13 water hazards, 80 sand bunkers, 20 fountains, four waterfalls and 2,500 foot stream at the Meadows at Mystic Lake, ranked one of the Top 10 New Courses by Golf Digest. A full-service entertainment Minnesota golf resort awaits at Mystic Lake Casino in Shakopee, Minnesota! This 7,144-yard par 72 championship course is part of Minnesota’s largest gaming and entertainment facility at Mystic Lake Casino. Take a lesson to perfect swinging, chipping, putting, pitching or any stroke in your repertoire. Visit the pro shop to deck yourself out in gear that makes you look like a pro. Or try out the golf simulator for an interactive video game golf simulation! Luckily for you, the fun doesn’t end when you leave the Meadows at Mystic Lake! Rest in your premiere hotel accommodations before heading down to the casino for a night of gaming, gambling and entertainment. Choose your blackjack table carefully, then sit down in hopes of hitting the perfect 21! Check out video poker or penny slots – Mystic Lake boasts more penny games than anywhere in Minnesota. Grab a bite to eat, see a show – let loose at Mystic Lake, a premiere Minnesota golf resort! Take 494 East or West to 169 South. Follow 169 South to Cty. Rd. 83, exit and take 83 South. Follow approx. 4 miles to Mystic Lake. From Rochester, take Highway 52 North to Cty Rd. 42 in Rosemount. Turn left and Follow 42 West to Cty. Rd. 83. Take 83 South and follow approx. 2.5 miles to Mystic Lake. The Minnesota and Mississippi River Valleys have been home to the Dakota for thousands of years. The existence of their ancestors was sustained by their relationship with the earth and their surroundings. For generations, Dakota families fished from the rivers, gathered rice from area lakes, hunted game on the prairies and in the river valley woodlands, and established villages along the riverbanks and surrounding lakes. Relax and unwind at The Meadows Bar and Grille. Choose an indoor table by the cozy river rock fireplace, or an outdoor table with stellar views on their sunny patio. Browse from our menu of clubhouse favorites and enjoy a beverage from our selection of beer, wine, and cocktails. Imagine strolling down emerald prairies lined with native grasses, wildflowers and knolls rolling in the distance. Now imagine swinging your driver and watching your ball glide through the air, landing in the center of the fairway. It’s your Minnesota golf resort dream at Dacotah Ridge Golf Club. Adjacent to the Jackpot Junction Casino Hotel, this Rees Jones-designed championship golf course boats 18 holes of golf memories to last a lifetime. It features natural wetlands, the winding beauty of Wabasha Creek, a 14-acre lake, trees and 7,109 yards to test every club in your bag. This southwestern Minnesota golf Mecca includes a fully-stocked pro shop, clubhouse and gourmet dining with a Native American influence at Wabasha Creek Restaurant! After you’ve exhausted yourself on the links, reenergize at Jackpot Junction. Sip cocktails at the Piano Lounge, please every palate at the Seasons Buffet or win big with a variety of gambling choices! Drop the kids off at Kids Quest childcare and hit the casino for blackjack, poker, slots and more. Then return to your Jacuzzi suite for relaxing bubbles and spacious luxury. 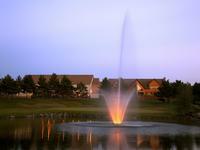 Minnesota golf resort living at its finest is here at Jackpot Junction Casino Resort and Dacotah Ridge Golf Club! The Lower Sioux Lodge adjacent to the casino is a AAA Three Diamond-rated hotel, offering 378 deluxe accommodations, which include VIP, Hospitality, Jacuzzi and Fireplace Suites, Poolside Suites and an RV park. From Twin Cities, take 494 West to 212 West. Stay on 212 West all the way to Olivia, MN. Head south on Highway 71 approximately 16 miles to Redwood County Road 2 (Note: Do not turn on Renville County Road 2) and follow the billboards to Jackpot Junction Casino Hotel. 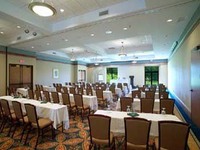 There are over 44,000 square feet of flexible indoor meeting space for your conference, wedding, family reunion or special event. Here’s your chance to get out of the tourist-heavy Brainerd Lakes! Thumper Pond is a Minnesota golf resort that combines incredible accommodations, year-round activities, challenging golf and quiet seclusion. It’s time to enjoy the relaxation of the Northwoods on your Minnesota golf vacation! Over 6,600 yards of tight fairways and fast greens line this par 72 course. Each hole is carved out of a massive pine forest, so every drive is framed by gorgeous Northern scenery. And its serene location in Ottertail county means that your game won’t be disturbed by distracting tourists! Instead you can revel in seclusion to perfect your putt or service your swing – in fact, sign up for a lesson with Thumper Pond’s onsite PGA Golf Professional, Jeff Olson! Kids will love the 12,000-square-foot indoor waterpark at the hotel. Waterslides, interactive rides and more allow soaking, splashing fun all year round. And Ottertail Lake is nearby, which means swimming, boating, fishing and more are just around the corner. And with onsite dining, the Serene Woods Spa and more, each minute will be filled with fun. Welcome to a new kind of Minnesota golf resort. Seclusion, relaxation, privacy – what more could you ask for? The Northern Hideaway Indoor Waterpark makes Thumper Pond Resort the perfect place for your Minnesota vacation, all year round. From Minneapolis/St. Paul, take I-94 to the Ashby/Barrett exit #77 for MN Hwy. #78. Follow Highway #78 through Battle Lake for 40 miles to Hwy. #108 (Main Street). From Fargo/Moorhead, take Highway 10 to the Perham Exit (Highway 78), and follow Highway 78 South to Highway 108 (Main Street). Take a left on Hwy 108. Make a left onto Thumper Pond Drive and a right onto Thumper Lodge Road. Thumper Pond Resort boasts flexible meeting and banquet space for up to 300 people, so your wedding, conference, reunion or event can be customized however you please! This Minnesota golf resort sets itself apart as way above par. In fact, with 54 holes of golf on nearly 15,000 yards of beautiful Northern scenery, Cragun’s Resort and Hotel has been exceeding golf lovers’ expectations for almost 80 years! Your Brainerd golf vacation just got a little more exciting. Check out the Dutch Legacy course, rated five stars by Golf Digest. It’s an Audubon Signature Sanctuary course, designed by Robert Trent Jones, Jr. which combines towering trees, verdant green fairways and a spectacular location adjacent to Gull Lake. The equally spectacular Bobby’s Legacy course features multiple tees and split fairways to maximize playability, both for novices and pros! And the resort is pretty cool too. Stay in a lakeside cabin or hotel room to rest up for your big day on the links or on the lake! Experience casual yet luxurious dining at the Legacy Grille, overlooking the golf courses in the Legacy clubhouse. Relax away your aches and pains at the luxuriating Gull Lake Spa. Play three extraordinary golf courses in one of the most beautiful Northern locations in the Midwest. It’s an unforgettable Minnesota golf resort experience at Cragun’s! Don’t forget to check out the Reversible 9 course! This nine-hole, par 27 course reverses its direction daily, so you have a whole new experience on your second round! From the Twin Cities metro area and points south, take Hwy 94 west to the Clearwater exit, then turn right (east) and follow to Hwy 10. Take Hwy 10 north to Little Falls, then continue north on Hwy 371 towards Brainerd. Take the new Hwy 371 Brainerd bypass (C. Elmer Anderson Memorial Hwy). At the junction of Hwy 371 & 210 continue north on 371 for three miles to County Road 77 (Pine Beach Road). Turn left on CR 77, and continue six miles to Cragun's entrance. You’ll definitely want to book the Five Star Golf Package. You’ll receive lodging, dining, reduced prices on lessons, two rounds on the Dutch Legacy course, unlimited play on the Legacy Reversible 9 course, a shared ProLink GPS cart and more!